Purdue University appears in our ranking of the 10 Best Online Colleges for a Master’s Degree in Hospitality. Purdue University offers a number of minor, undergraduate major and graduate options through its Department of Hospitality and Tourism Management for students interesting in working in the hospitality and tourism industry. Two minors are available: event and meeting management and hospitality and tourism management international studies. The school also offers a bachelor of science program for undergraduates, who can select from concentrations in environmental sustainability, human resources, layout and design, or marketing and sales. Graduate students can select a master’s of science degree and doctoral programs in hospitality and program management. Two options are available for both. Students may pursue a research-based option or a non-thesis option for both degrees. Online learning options are available for the master’s of science degree. Studying in Purdue’s hospitality program provides exceptional opportunities for those interested in the field. The Journal of Hospitality and Tourism Education ranks Purdue’s program as the top one in the United States in two different studies. Hospitality Management ranks Purdue as number eight and Degree Query ranks it as number five. As a global leader in hospitality management, Purdue prepares its students through core components that include experiential, theoretical and analytical study and real-world engagement. The Morrill Land Grant Act, signed by President Abraham Lincoln in 1862, provided the basis for the establishment of Purdue University, which was established by the Indiana Legislature in 1865. Purdue University opened its doors in 1874 with six instructors and 39 students. The oldest building on campus, first called University Hall and now known as the Main Building, was finished in 1977. By 1900, Purdue had schools of agriculture, engineering, and pharmacy. Former U.S. President Benjamin Harrison has served on its board of trustees while former astronauts Neil Armstrong and Eugene Cernan are some of the school’s most famous graduates along with NFL quarterbacks Drew Brees, Bob Griese and Len Dawson. Based in West Lafayette, IN, Purdue University has an undergraduate population of 31,000. The 2019 edition of U.S. News & World Report’s Best Colleges gives it an overall ranking of 56 among national universities. It is also ranked as the 17th best public university in the United States. In 2016, Purdue was named a “Best College Value” by Kiplinger’s Personal Finance. The school is part of the Big Ten Athletic Conference. It also has an extensive library system with 15 separate locations. The school’s traditions include the referencing of its locomotive mascot, the Boilermaker, to refer to all things associated with the school. Purdue University has received accreditation from the Higher Learning Commission of the North Central Association of Colleges and Schools since 1913. Its last review was in 2010, with its next 10-year review due in 2010. The school has many different accreditations for its various academic programs. Hospitality and Tourism Management programs at Purdue are endorsed by the Accreditation Commission for Programs in Hospitality Administration. 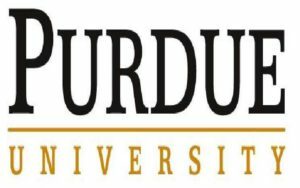 Freshmen applicants to Purdue are required to provide a completed application form, personal answers regarding Purdue from the first, self-reported high school grade and ACT or SAT test scores and the application fee or a qualified waiver. Applicants can use the common application or the coalition application to submit their information. Essay questions change frequently but can include asking prospective students to describe why their personal background is important to admission or how they overcame an important obstacle. Admission is based on a variety of factors that include high school grades, test scores, the ability to be successful in the intended major, answers to essay questions and space in the desired program. Applicants to the online program must provide the above elements with several differences. They must complete a telephone interview with an admissions advisor, the letters of recommendation can be entirely from professional sources. Three to five years of professional experience, with managerial experience preferred, is also required. Admission requirements for doctoral candidates are the same as those for students pursuing a master’s degree in hospitality and tourism management. Undergraduate tuition at Purdue University is $9,992 for Indiana residents, $28,794 for non-residents and $31,084 for international students. These costs do not reflect room and board, fees and other fees. Graduate tuition for Indiana residents is 4,996 per semester for Indian residents and $14,397 for non-residents and includes fees. Undergraduate and graduate part-time students pay $347.85 per credit hour if residing in Indiana. Non-residents pay $948.30, while international students pay $1,018.30. The Department of Hospitality and Tourism Management encourages incoming freshman to apply for a variety of external scholarships. 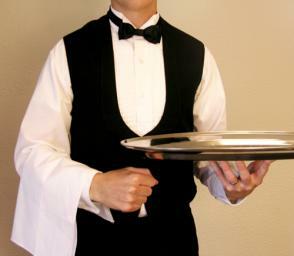 Several departmental scholarships are also available for undergraduate hospitality students through the university. Graduate students can help fund their education through internal and external fellowships as well as graduate assistantships to help fund their education. Purdue University also encourages its students to pursue grants and loans available when applying for the FAFSA (Free Application for Federal Student Aid). Awards are available in varying denominations.